Boitumelo Rakosa ("Tumi") has been named a GOOD Pioneer of Health. 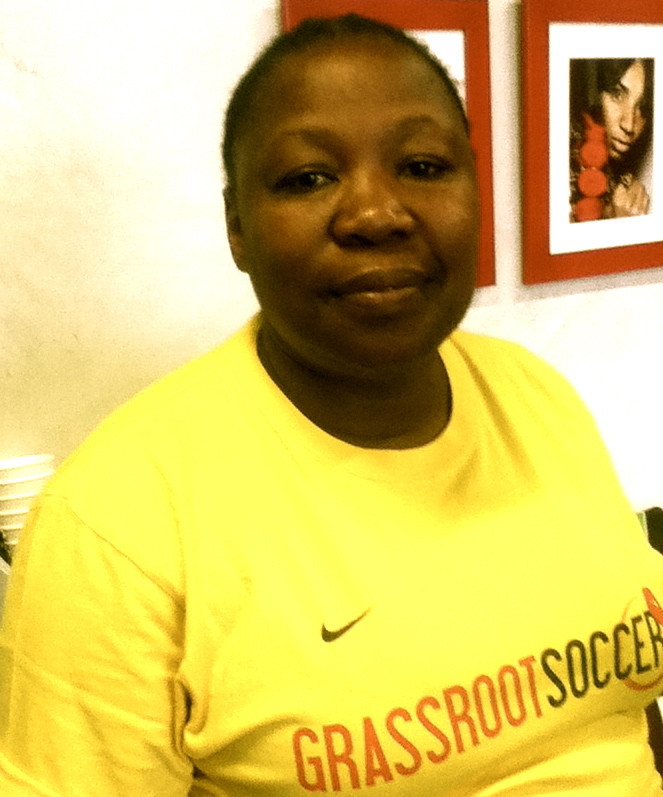 Grassroot Soccer’s SKILLZ Street program for girls, and specifically one of our program coordinators, Boitumelo Rakosa (“Tumi”), have been selected as one of five winners in the GOOD Pioneers of Health Challenge: Africa Edition. GOOD is a global community of, by, and for pragmatic idealists working towards individual and collective progress. According to GOOD, the goal of the Pioneers of Health Challenge is “to find five of the most creative and innovative leaders in health work from across the African continent.” Particular emphasis was given to solutions and leaders in the areas of HIV/AIDS, Reproductive Health, TB, Malaria, and Maternal & Child Health. SKILLZ Street is Grassroot Soccer’s unique girls-targeted program utilizing the format of an after school soccer league to educate and empower young women to avoid risky behavior and protect themselves from HIV. SKILLZ Street challenges gender norms by creating a safe space for young women to be themselves and learn new skills—while playing the male-dominated sport of soccer. Tumi, who works in our Soweto, South Africa site, has been a leader in implementing and improving the program, introducing innovations such as direct linkages to care services. SKILLZ Street is our unique girls-only program aimed at building the self-efficacy of girls, like these participants with their coach in Alexandra, South Africa. As part of this award, Tumi will represent GRS at a four-day summit exchange in Cape Town this December, where she will be able to exchange best practices and ideas with other non-profit innovators, government officials, and prominent health leaders. For a summary of the award and profiles of all five winners, please visit GOOD’s website.